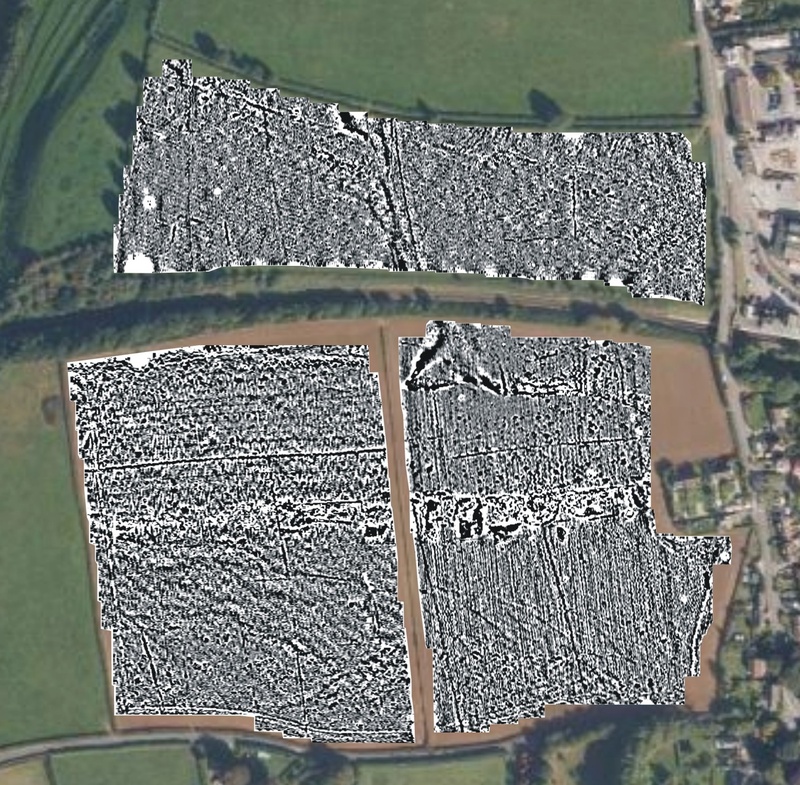 SSARG have carried out a geophysical survey over this site where crop marks had previously been identified by the Somerset HER as a possible Neolithic cursus and mortuary enclosure. 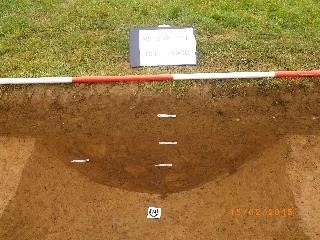 We have now completed a series of test pits over some of these anomalies revealing evidence of Roman occupation. The trench over the major rectilinear anomaly uncovered a substantial ditch with a large animal bone at the bottom, a small assemblage of worked flint and one sherd of prehistoric pottery. Over the past few years SSARG have been working in three adjacent fields at Misterton which have yielded a large number of finds located and mapped by a local metal detectorist. 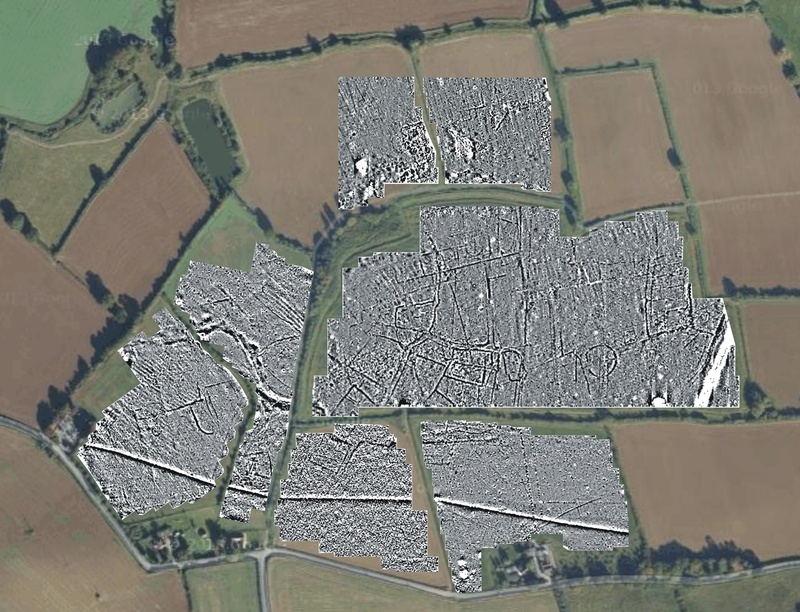 The results reveal a major east-west linear trend across the southern fields which could suggest the site of a linear development including occupation and possible industrial activity. The north-south linear in the northern field could be a former trackway. There is also a possible enclosure in the southwest corner of the north field. 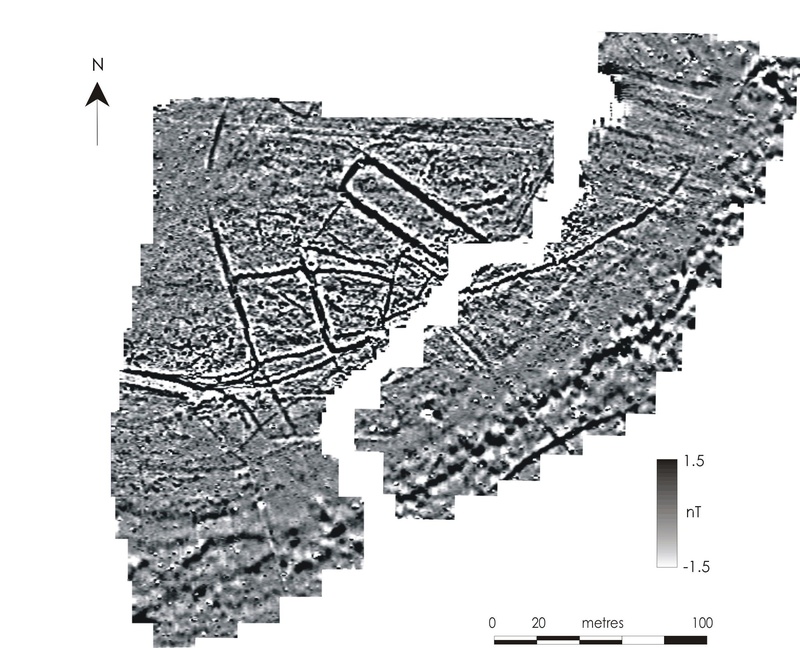 Other linear anomalies could represent old field boundaries, drainage and plough marks. Test pit targeted on the possible enclosure in the north field uncovered a ditch containing Middle Bronze Age pottery and some flints. For almost 10 years SSARG have been working with Newcastle University around the site of Lufton Villa near Yeovil. SSARG have completed a number of geophysical surveys prior to excavations carried out by Newcastle University under the direction of Dr James Gerrard which uncovered evidence of Roman, Iron Age and Bronze Age occupation. In 2016 and 2017 the Villa itself was re-excavated to discover its state of preservation and confirm discoveries made during the original excavation in the late 1950s. Combined gradiometer surveys of Lufton Villa and surrounding area. For more information about the Lufton Project visit the Newcastle University blog. 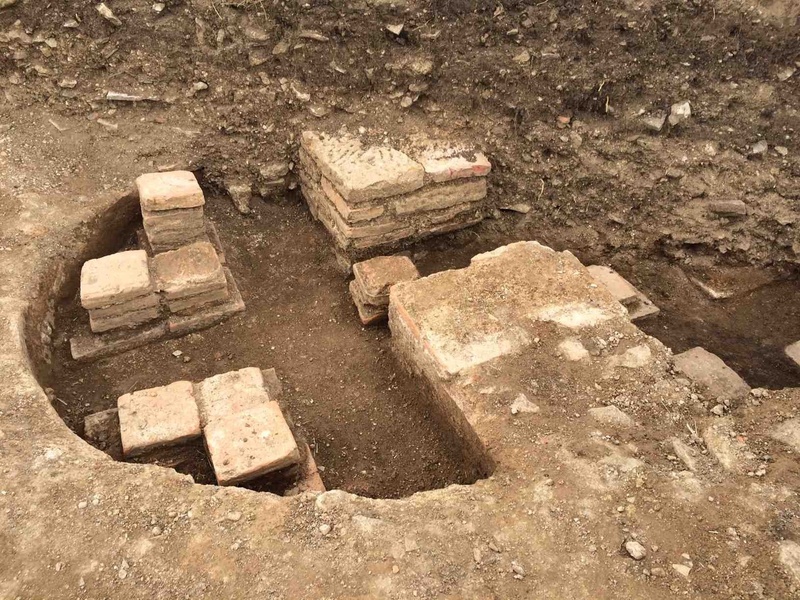 Hypercaust of Lufton Villa uncovered during 2016 excavation. SSARG has carried out a major geophysical survey in Main Road Field, south of North Cadbury which is nearly 1km long. 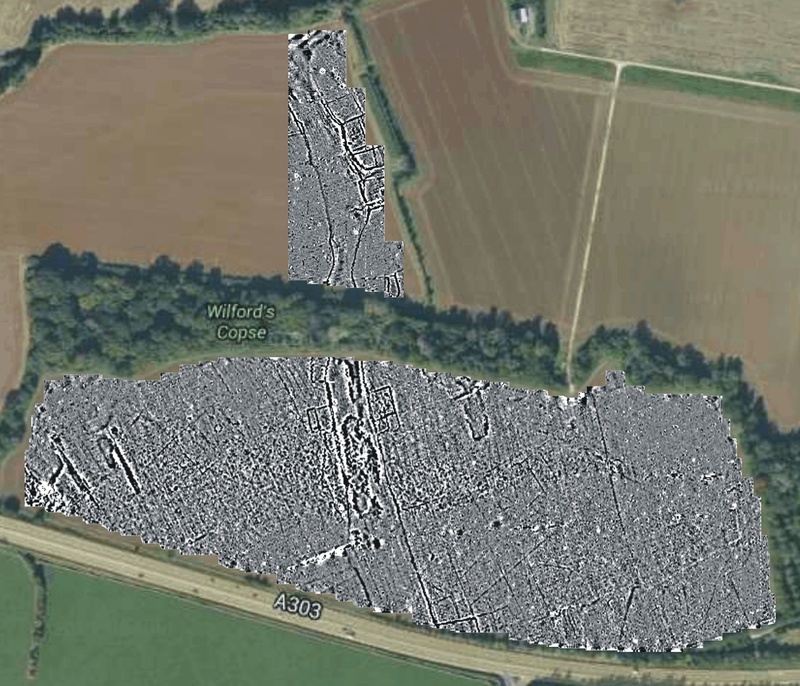 The results, confirmed by data from test pitting, reveal a substantial Iron Age trackway heading for South Cadbury Castle hillfort. Although this project is currently on hold we hope to continue with the geophysical survey over the next couple of years. All map data copyright 2018 Google.